As March Madness is finally upon us once again, we wanted to take a moment to recognize the men’s collegiate basketball teams, coaches and players who have been making a difference off the court and continue to be great supporters of Children’s Miracle Network Hospitals as well as the Miracle Network Dance Marathon programs on their campuses. The University of Oregon Men’s Basketball team has been a great support for the local hospital in Eugene, OR, Sacred Heart Medical Center. 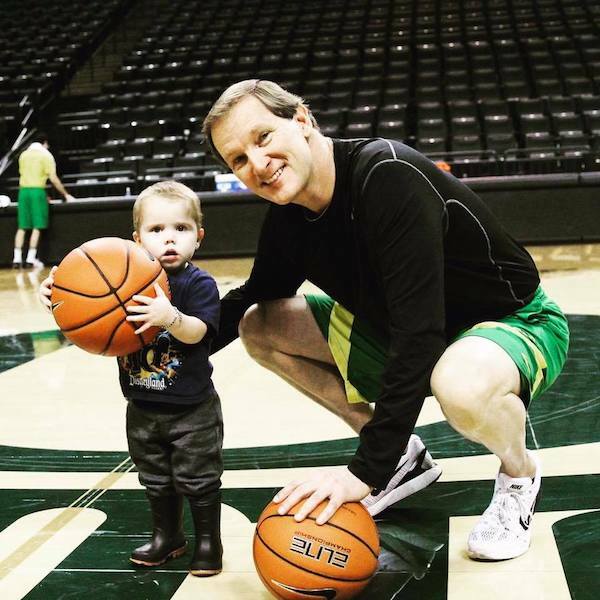 The team has made visits to the hospital and coach Dana Altman even selected Children’s Miracle Network Hospitals as his charity to support in the ESPN Infinity Coaches Charity Challenge. Coach Dana Altman. Photo: Sacred Heart Medical Center – Children’s Miracle Network. 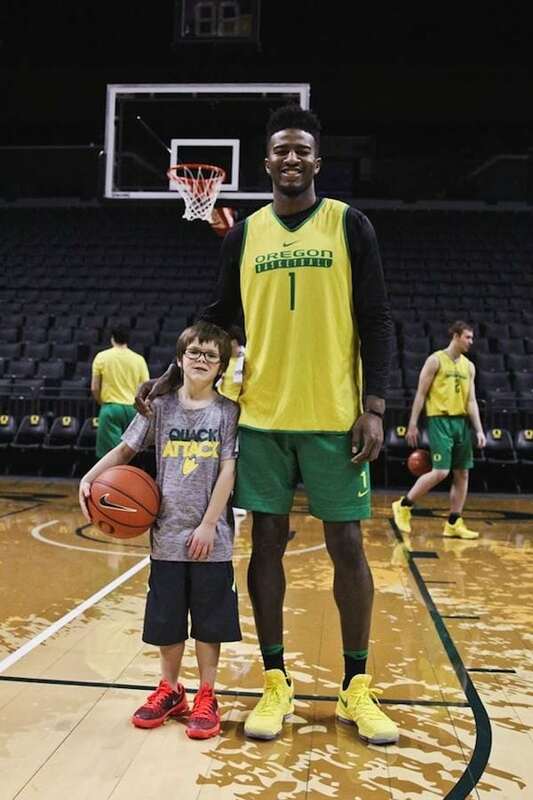 Oregon Forward Jordan Bell with 2016-2017 CMN Hospitals Oregon Champion, Hayden. Photo: Sacred Heart Medical Center – Children’s Miracle Network. 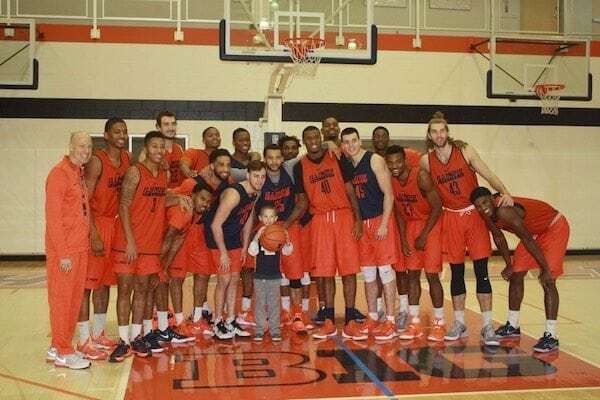 This season, the University of Illinois Men’s Basketball Team has partnered with IlliniThon, the Dance Marathon organization on campus, to be “Illini Buddies” with Levi, one of the miracle kids treated at HSHS St. John’s Children’s Hospital in Springfield, IL. The team invited Levi to join them for a pre-game practice and even gave his family tickets to one of their games. 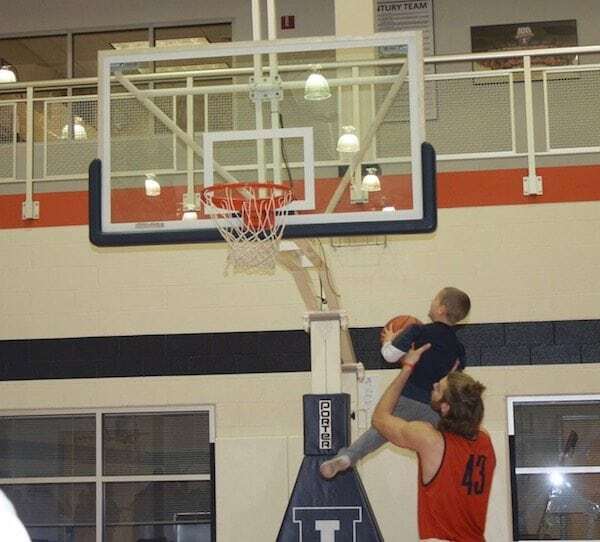 Thanks to the Illini for helping to give Levi such a great experience! This past February, after Iowa’s 81-70 win over Nebraska, Iowa Head Coach Fran McCaffery started his press conference by recognizing the University of Iowa Dance Marathon and their efforts that same weekend to raise over $2.5 million for the University of Iowa Stead Family Children’s Hospital! The Western Illinois Men’s Basketball team created a promotional video to share why Children’s Miracle Network Hospitals need donations and hosted a “Ballin’ For The Kids” event in partnership with the Western Illinois University Dance Marathon, which has set a goal to raise over $100,000 this school year. During the event, game attendees could make donations to support the Dance Marathon’s fundraising efforts and the Dance Marathon students, in addition to a number of children, performed a dance during halftime of the game. The team also recognized WIU Dance Marathon’s hard work by awarding them the official game ball! 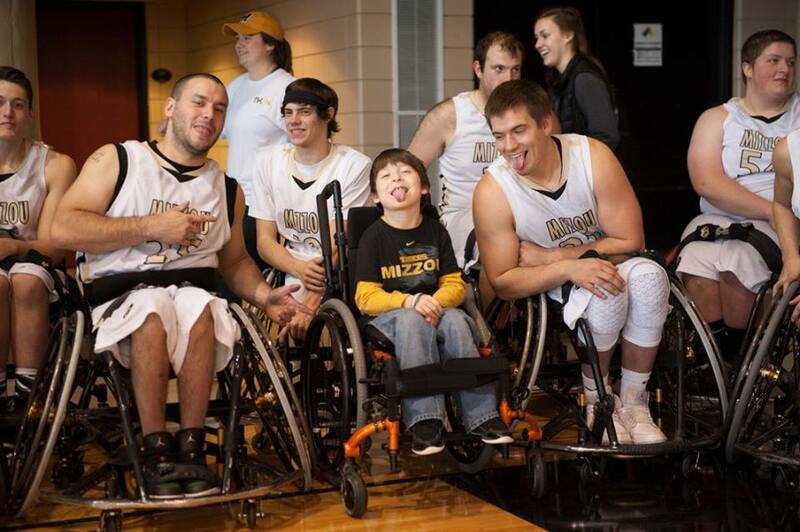 The Mizzou Wheelchair Basketball team partnered up with Mizzouthon on campus to “adopt” one of their Miracle kids, Declan, for the year. Declan got to go to one of their games to cheer on his new favorite team who inspires him through the challenges he faces with his spastic diplegia cerebral palsy. 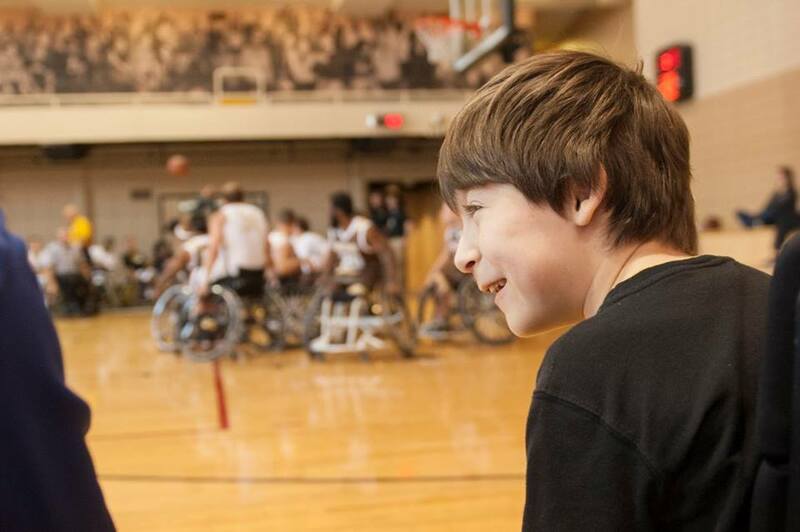 Now Declan tells everyone that, when he grows up, he wants to go to the University of Missouri and play on the wheelchair basketball team!